Honorable Mention: Archie Sheridan and Gretchen Lowell Series (Heartsick, etc.) by Chelsea Cain—I love these characters. 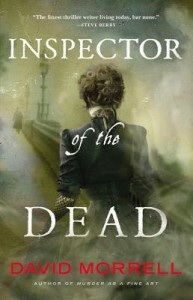 My favorite historical mystery series and it keeps getting better. Seriously, this series demonstrates how a historical mystery should be done. You drop down a rabbit hole and wander around in the damp dangerous world of Victorian England. The amount of research Mr. Morrell must have done is staggering, yet he weaves the historical elements and the lives of real people seamlessly into a breathtaking mystery thriller without sparing one ounce of tension. Several times along the way I found myself stopping to delve into the historical story lines because Morrell made them so interesting. Please, someone make this into a movie or, better yet, a series. 5 stars. 6 stars. However many—just read it. Masterful homage to Frankenstein and all things gothic. 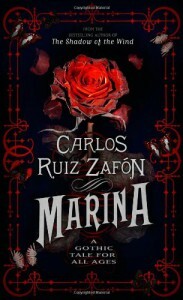 Is there anyone who writes gothic stories better than Zafon? I don’t think so. As atmospheric and beautiful as Shadow of the Wind (which is saying a lot) but in a novella. One of my top 10 of the year. 5 stars. Top 10 for the year. 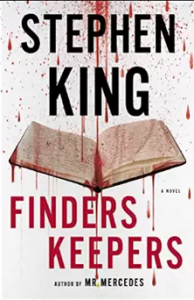 I enjoyed this one better than Mr. Mercedes, which I thought was (more than) a bit contrived. I found the whole concept of the murdered author, his lost masterpiece(s) and how deeply we can get into stories and writers and how it actually shapes our identity to be fascinating. Would a person be different if he had read different books while growing up? Do we all remember that moment when we were hooked…when fiction became “important” to us? When a new novel by a famous writer became a big event—even requiring us to move commitments so that we would have time to read the new book. Nonstop. Until we were done? When we first became genuinely angry at a fictional character? Or felt betrayed by one? That’s what Finders Keepers is all about and for me it really struck a nerve. It also ends with a preview of what the third and final novel in the series will be like—and that one seems to be another straight out horror novel from the master. Can’t wait. 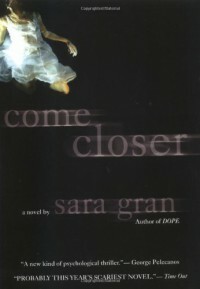 This book creeped me out. That coming from someone who lives on a steady diet of horror. 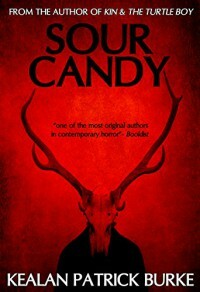 If you love horror, you have to read this one. Flaubert may be my all time favorite writer. I remember going to D.C. a few years back and having a few hours to kill before my plane left so I went to the National Gallery. I didn’t have a bunch of time so I went straight to the Old Master and found myself standing in front of a self portrait by Rembrandt. I stood there about 5 feet away and was stunned and humbled. I couldn’t imagine someone having that much talent. 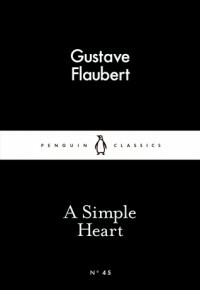 Flaubert is that good and A Simple Heart (also titled A Simple Soul) is like that painting. Stunning. Humbling. Quietly profound. 5 stars and a nomination to be put on the “best novellas of all time” list. First rate collection of short stories by a master. I was a little disappointed at the lack of straight out horror stories in this group, but you don’t always get that from King. He writes what floats down to him from that place that only few authors are ever given admittance, and I feel blessed with everything new. 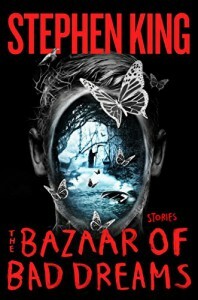 Any fan of Stephen King, or just great short stories, needs to pick up a copy. He really is the great writer of our age. Some may win more literary prizes, in fact I feel that his popularity actually works against him in that respect, but none are more loved and appreciated—and no writers has more respect and affection for their readers. Every new book is like a visit from an old friend. I received an advance copy of this novel from the publisher through NetGalley in exchange for an honest review. This is my first book by Pascal Garnier and I must confess that going into this novel I knew practically nothing about him as a writer or his works. I must say that I have been missing out. I quickly put several other of his works recently published by Gallic Books on my wish list and will be working my way through them for the next year or so. I always love encountering a new (to me) writer that has a back list of books to enjoy. Ignorance may be bliss, but then again sometimes so is discovery. Any fan of noir will love this novel. It begins introducing us to our main protagonists with a wit and snarkiness that drew me in right away. 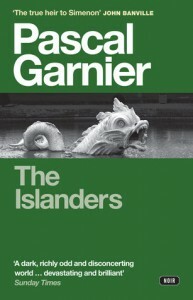 I could tell right away that I was going to enjoy Garnier’s style and as the plot developed and we descended into the twists and turns (and slow reveals) of this dark, dark story, I found that he was as good a storyteller as he was a writer. I don’t want to give away much of the novel but I will say that it is masterfully plotted and will appeal to fans of noir, psychological thrillers, or literary dark fiction. 5 stars. Sign me up for the rest of his books. Garnier is a French Hitchcock. A master. I received an ARC copy of this short story collection from the publisher and NetGalley in exchange for an honest review. O’Henry to me represents an American archetype in literature and it is interesting to note how that archetype has changed, or one can argue, no longer exists. When I think of classic American style in short stories a few authors come to mind: O’Henry, London, Irving, Fitzgerald, Poe and O’Connor. Each represents a particular time, region or style. London the pioneering spirit, Fitzgerald the jazz age, Irving the colonial period and along with Poe the supernatural, O’Connor the South. O’Henry is quintessentially American in locale as well as representative of a style of story. 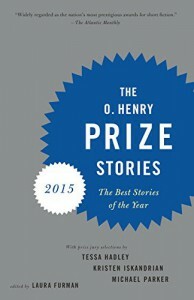 These stories are O’Henry award winners because they have a particular style that evokes his spirit. Interestingly, I found these stories to be quintessentially American. 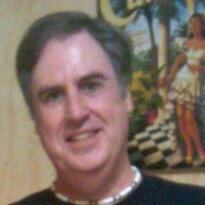 I sit here drinking coffee from Mexico, wearing a shirt made in India, typing on a computer made in China. These stories are like that too. Some take place in the United States but they involve immigrants and their own personal integration to this country; others involve Americans living or travelling abroad (and behaving badly) or naturalized Americans dealing with feelings of being an outsider to their culture of birth. They are who we are now and they all, like Paul Simon says, sing an American tune. I think it is important to not provide too much detail on the stories because many of them pack a surprise or some other twist (in the O’Henry tradition) that would be spoiled by too much information. Here are my favorites. The very first story, the comical yet vaguely sinister “Finding Billy White Feather—which leaves the reader reeling and in no better position than the confused story teller starts this collection off on a very high note. “A Permanent Member of the Family,” “The Seals,” “Cabins,” “Word of Mouth,” and “The Golden Rule” deal with the types of events that are defining moments in a family history and are all deeply moving in their own way. The collection contains notes from the authors and I was not surprised to read that another favorite “A Permanent Member of the Family” happened pretty much as described in the story. As I was reading it I couldn’t help but think that it, or something just like it, happened to the author. Many of the above stories have a strong sense of autobiography about them. I also enjoyed the stories that took place in other countries and the internal cultural commentary within them. Another favorite was “A Ride Out of Phrao” in which a naturalized American woman of middle eastern descent has moved to a small village in rural China. She never felt completely at home in America, yet it has become her home. She is very much an outsider in China but is adapting. Finally, she is culturally separated from her successful daughter. I found the story fascinating and quite moving. “About My Aunt”—fascinating story about two women and how one’s primary value is independence and the other is completely dependent on others, yet both appear content, set in the back drop of Hurricane Sandy. “My Grandmother Tells Me A Story”—I couldn’t help thinking that I was very glad my grandmother never told me a story like that—a story that would change the way you look at her forever. Even though I have highlighted a few stories, I have to say that the entire collection is first rate and I wholeheartedly recommend it to anyone who enjoys well-crafted literary fiction. Thrilling Finale to a Great Series. 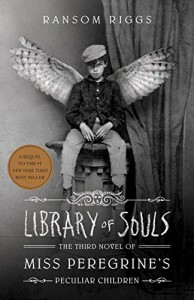 Library of Souls concludes the story of Miss Peregrine's Peculiar Children and wraps up the adventure. I have enjoyed the series although I feel that the series went from being a very original and moving story into something more along the realm of a fantasy/thriller. My favorite is still the first volume. It was so original, the pictures were so bizarre, and I felt that it explored Jacob's reeling uncertainty and vulnerability at being wrenched out of his world and thrust into a dangerous and unfamiliar alternative world. He is devastated by the separation from his parents and family and this loss tugs at him as he attempts to fulfill what appears to be his role in an epic struggle against evil. By the end of Library of Souls, he is superhero of sorts and his parents are reduced to clueless muggles. That being said. I still really enjoyed the finale. The characters are lots of fun, the villains are dastardly, and Mr. Riggs' world building skills are as good as any other fantasy author that I can think of. You may like it better or less than the prior installments, as is your taste, but if you liked the series, you won't be disappointed by the finale. 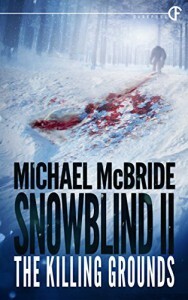 Snowblind was one of my favorite novellas from Darkfuse when it came out in 2012 and the second installment adds depth to the story without being a direct sequel. However, I do recommend reading Snowblind first in order to get the full effect of this one. A small group of people find themselves in a remote area in the Rockies that seems to be a ground zero for disappearances. They have all come for different reasons: one to search answers as to what happened to his girlfriend seven years ago, a game warden is trying to track something big and savage enough to tear apart big horn sheep and leave their bodies scattered in pieces over the landscape, and a sheriff, perhaps the most troubled of all, has a video tape and photos in his possession that may provide the answers to these questions. Answers that are perhaps worse than not knowing at all. Especially since it has grown dark, there are noises in the woods, and the answers to those questions come with the realization that you are in a killing ground from which there is no escape. Even though this is a graphic and violent story, McBride has compassion for his characters, which makes the inevitability and savagery much more devastating. Another great novella from Michael McBride and from Darkfuse. I listened to this audiobook on Audible and loved every minute of it. Back in college at UT (Austin) I was in a Shakespeare class and we were lucky enough to have members of the Royal Shakespeare company come to our class and perform, play music, and answer our inane questions about all things Elizabethan. First off, it was a good deal of fun. Second, it was like a window was opened, blinds were raised, and fresh air and light flooded what was a very dark and still room. Let’s face it, Shakespeare is difficult, especially if you are just reading him—after all, they are plays, not novels, and meant to be seen. The play, in this case Lear, suddenly came alive and, for myself at least, I can say that I felt that I was experiencing Shakespeare for the first time. Through the artistry of those marvelous actors, I appreciated the drama, the emotion, and in many cases the absolutely hilarious lines of plays which for me before had always been interesting and beautiful but not alive. Just like a great musician with his or her talent will bring out unnoticed melodies in well known tunes, a great actor can bring out nuances in a character that you don’t get from just the printed page. They were there all along, but the three dimensional portrayal really allows that character to bloom. It was certainly like this with Kenneth Branaugh’s reading of Heart of Darkness. I immediately looked for other books narrated by him. Actually, “narrated” is such a shallow word for what Branaugh brings to the performance. Yes, performance is a much better word. For several days in my car on my way to and from work, I was immersed in deep, dark, Africa and the horror of British colonization and Branaugh’s masterful performance that brought out the beautiful horror and depth of Conrad’s often difficult masterpiece, but also the humor and wit that was Conrad’s signature style that can be lost in a purely text format. Branaugh, just like those RSC actors, threw open the windows, raised the blinds and flooded light that illuminated this classic in all of its depth, profundity, and sympathy and emotional impact. I felt that I was experiencing this classic for the first time. 5 stars for Conrad’s genius and another 5 for Branaugh’s masterful performance. 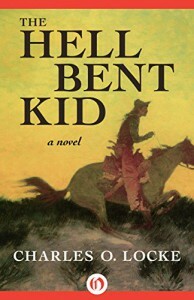 I don’t read very many westerns but the advance review that classified The Hell Bent Kid as one of the top 25 westerns ever written was just too tempting for me. It clearly was not hype. This novel is every bit as good as its billing. Also, just a little praise where praise is due—the fact that this book was published by Open Road was another point in its favor. In my experience, Open Road is a publisher that I count on for consistently high quality works of any genre, from classics to noir and now I can add westerns to that list. Just take a look at their list of titles and award winning authors and you will most likely agree. 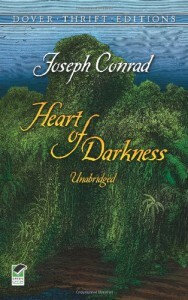 It is interesting that I was reading this novel at the same time that my daughter was reading Conrad’s Heart of Darkness because they explore similar themes. Conrad’s novella argues for the inevitable corruption of man in the face of evil and the overwhelming power of the uncaring natural world. Tot, the protagonist The Hell Bent Kid, faces the desert much as Kurtz does the jungle. Equally deadly, both natural elements strip man of all the trappings, comforts and life-saving resources of civilization. While Kurtz was confronted, and ultimately corrupted by his interaction with an amoral and, to our view, evil primitive society, Tot faces the constant and deadly pursuit of “civilized” men who mean to kill him to avenge a life that he took in self defense. The men who follow him do not represent the law, but instead men of wealth and power who, at that time, were the actual face of civilized society when battles to the death were seen as high entertainment. But Tot is no Kurtz. As we follow him to his ultimate and natural, although still surprising, resolution of this conflict we see a man, a boy really, who is above both the evils bred in civilized society as well as the natural world—both of which sought to destroy him. This book will clearly have a slot on my 2015 favorites list and I recommend it to anyone who enjoys not only westerns, but stories told in a sparse Hemingway style—which also employ the “iceberg” analogy of a simple story with most of the real meaning and value of the tale below the surface. Compelling, tense, and beautifully written. Great book. 5 stars. Masterpiece is not too strong a word. I received an ARC copy of this short story collection from the publisher through NetGalley in exchange for an honest review. A great collection for anyone interested in great short fiction. 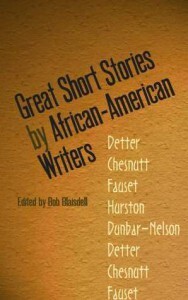 I have read a good deal of the classics of African American fiction, including the devastating “Souls of Black Folk” and my favorite “Diary of an Ex-Colored Man.” This collection contains well known names, like William E. B. Dubois, Langston Hughes, and Alice Walker, but also many names that you may never have heard. As I wondered why I had never heard of some of these very talented writers, I reviewed the introduction and, later, the ending notes on the stories. I was stunned to find that not only did many of these extremely talented writers receive no recognition, but we are not even at this time aware of the mundane facts about their lives---like the dates or even years of their birth. As I put this book down (figuratively, since I read this on my Kindle) I marveled that it was a struggle to even get these stories published in the first place. This collection is not only great fiction, but it is a remembrance and appreciation of the lives and talent of these great writers. Many stories for me, as a non-African American, were an insight into the culture of the times in which the stories were written, starting from the late 19th century through the late 20th century and I am grateful for that as well as the sheer enjoyment of the stories. Thematically, the stories range from the dreamlike New Orleans streets of “A Carnival Jangle,” to the humorous “Uncle Wellington’s Wives” (which reminded me of Mark Twain) and “George Sampson Brite”, the African-American Jazz Age of “Muttsy” and the modern “Everyday Use” and The Drill.” I particularly enjoyed the dark tales of “Jesus Christ in Texas” which thematically reminded me of Dostoyevsky’s “The Grand Inquisitor” and the deeply chilling “Mammy.” A few stories left me a bit cold, but that is to be expected of any collection as tasted vary. I also enjoyed the very generous endnotes. They provided insight into not only the stories themselves, but also the lives of the writers. I received an ARC copy of this book from the publisher, Open Road, through NetGalley in exchange for an honest review. Thanks to Open Road for letting me read an advance copy and for publishing a ton of great books. The Banshee is a creature, mainly, of Irish legend. She is a curse on certain Irish families---specifically the “old” or “original” families. Considering that the “Mc” of my names means that I happen to belong to one of those old clans, I thought about taking notes, you know, just in case. The folkloric and historical aspects of the Banshee legend is explored in fascinating detail. The anthropological and psychological underpinning are also very interesting. Even Saint Patrick makes an (historical) appearance. 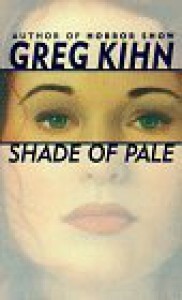 I don’t spend time in my reviews telling the plot but I will say that many authors could learn a few lessons on how to pace a thriller from reading Shade of Pale. Kihn weaves four exciting story lines, each of which is a race toward a predestined confrontation with the Banshee and each other, into a compelling and absorbing narrative. I read the entire book in one sitting because there wasn’t a suitable stopping point. I love it when that happens. Four stars. Took off one point because I found 2 characters to be annoying and unrealistic. The New York cop and the Black Rain terrorist were fantastic, however. Oh, and the Banshee was every bit as dangerous and deadly as promised but a lot more complex and interesting than I realized. Shade of Pale was a ton of fun and a great way to spend an evening.